Click on someone humble to enlarge the image. The funeral for President George H. W. Bush was beautiful, and informative. W’s eulogy was touching. Those who crave the high road of humility in Washington , DC are not bothered by heavy traffic. Then the camera panned to President Trump and the past presidents the front row and, well, this cartoon idea kind of jumped out. It’s not often you get a pack of presidents together in one shot. So I try to make the most of it. 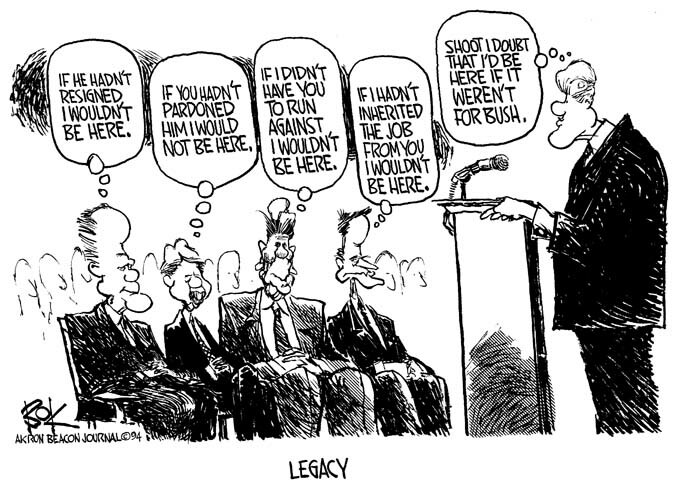 Here’s a cartoon I drew when they gathered for Nixon’s funeral. Click a president to enlarge the image. I know. 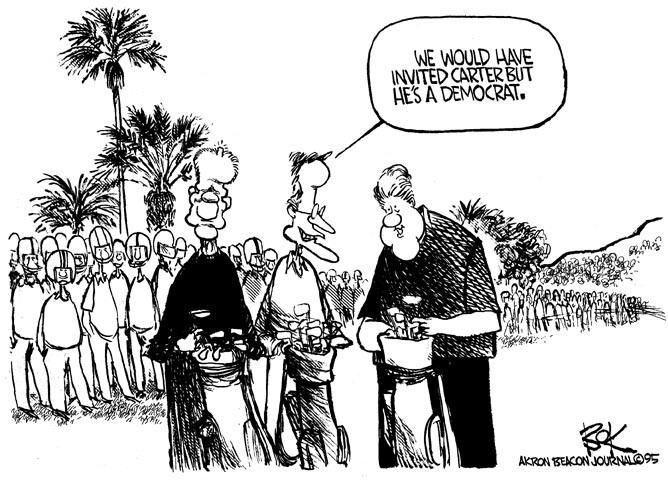 I left Jimmy Carter out of the humility cartoon. It’s not the first time. Click a football helmet or the lump on President Ford’s head to enlarge the image.